A must have item for all the stylish fellas out there! This men’s waxed canvas haversack is a beautiful luxury vintage piece from Builford and a great add to any wardrobe. Builford’s collection draws its inspiration from vintage sources and materials. This men’s waxed canvas haversack is no exception! But whereas the inspiration may come from the past, it’s great for any modern man. Don’t let the waxed canvas fool you into thinking this bag is a rough and tumble pack! Of course, this kind of waxed cotton material does normally turn up in outdoors equipment and packs. But in Builford’s imagination, waxed canvas is much more. By developing a few subtle colors to add to the natural canvas, and a great design, it becomes pure class. This men’s waxed canvas haversack isn’t all just image, though. After all, the full worth of a book is not in its cover. Builford ensures that all its bags can stand up to the test when the cover opens. The haversack features a flap top with two large front pockets and a laptop sleeve inside. A middle zipper opens to almost double the bag’s width. This makes it a great companion for traveling, exploring, or just daily working. 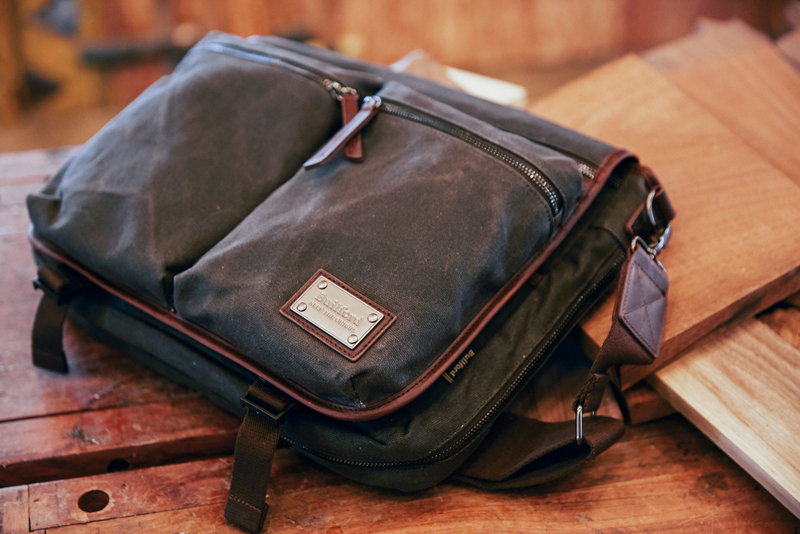 Freelancers and office workers alike will enjoy this men’s waxed canvas haversack functionality. Want to know more? You can find out about the full collection or other bags on the website www.builford.com. Make sure to check out the online store and order your own haversack today. Builford is running a shipping promotion, so don’t wait! Remember Builford bags come with a lifetime guarantee. That’s how confident the brand is in its bags’ durability. Embrace your inner distinguished gentlemen and order your own men’s waxed canvas haversack today. Share the post "Men’s Waxed Canvas Haversack: Must Have"
Posted in Fashion Review and tagged builford, builford haversack, haversack, mens bags, mens messenger bags, messenger bags for men, waxed canvas bags, waxed canvas haversack. Bookmark the permalink.